En route to San Diego for our family cruise, it was much cheaper to fly into Los Angeles and drive the 2 hours to San Diego than to fly there direct. When we landed, my darling wife said she had a surprise detour in store for us. 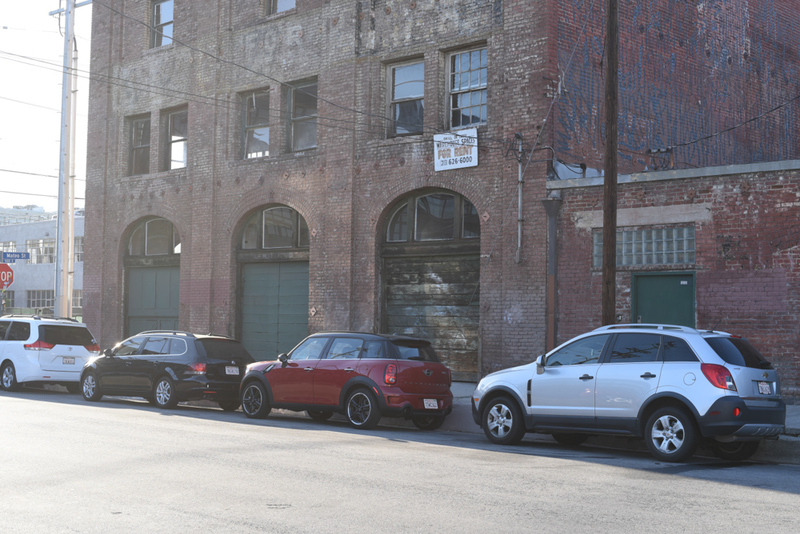 I followed the GPS instructions dutifully as it led us deeper and deeper into an industrial district of Los Angeles. My confusion grew by the minute. What the hell could possibly be of interest in this area of town? Paddy’s Pub is what. She always comes up with the best surprises. When filming is in session they do tours of the set, but since the show is effectively over it is unlikely there will be any more. The front door of the building is around the corner. The 500 block has a lot of traffic and someone was doing a modeling shoot on the sidewalk across the street so I couldn’t get a good view from a distance. The back alley is also further around the front door, but we were unsure whether that would constitute trespassing so we didn’t press further. The set location is on a very busy street corner where buses kept zooming by around a blind corner and the sidewalk space was minimal. The surrounding warehouses had a lot of active security and trailers were being towed around and dropped off so it’s clearly a very busy filming location for other shows as well. Celebrity news or worship normally doesn’t appeal to us but we have to admit it made us both giddy to be driving by the set of our favorite show!